Please bring any x-rays, health fund cards and applicable government benefits cards with you to your appointment. Please speak to our receptionist for instructions specific to your procedure. 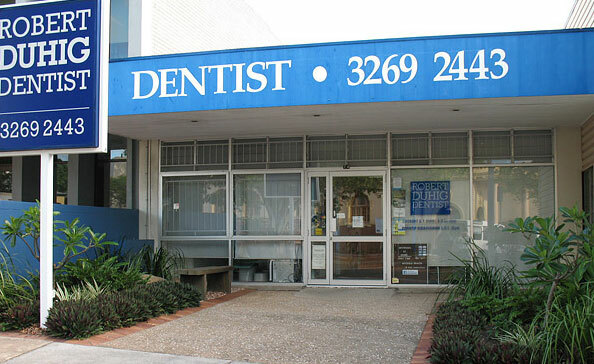 Robert Duhig Dental is located in Sandgate on Brisbane’s northside. From Brisbane Northside, take Sandgate Road or the Gateway Motorway to the Sandgate and Bracken Ridge exit. From Redcliffe, take the bridge and turn right at Beaconsfield parade. If travelling from far North Brisbane, Caboolture or Moreton Shire, take the Bracken Ridge exit from the Gateway Motorway and head towards Sandgate. You’ll find us on in the heart of Sandgate town, on the roundabout opposite the Town Hall. Please note, some dental procedures may leave you groggy. If you have any concerns about driving home, please speak to our receptionist now. Welcome to the gentle dentist on Brisbane’s northside. We look forward to seeing your smile!